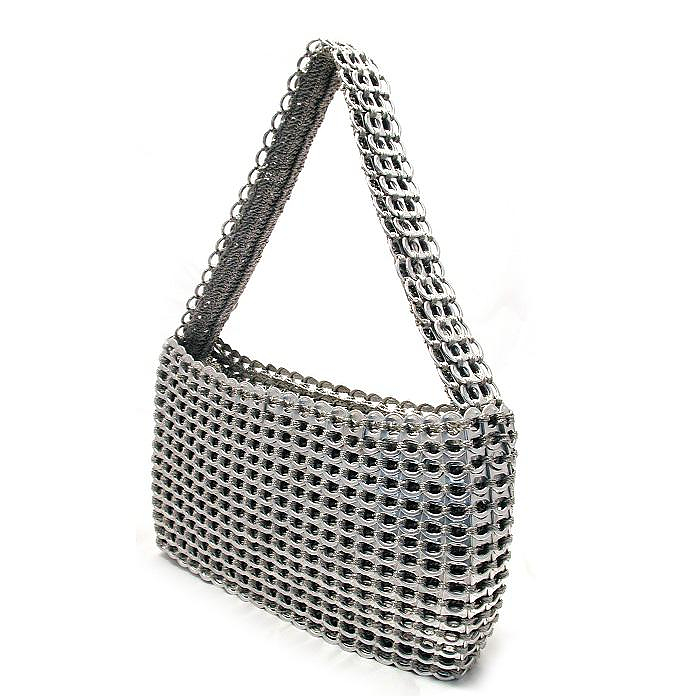 HomeBlogFashion & StyleBags from recycled materials by Escama Studio. 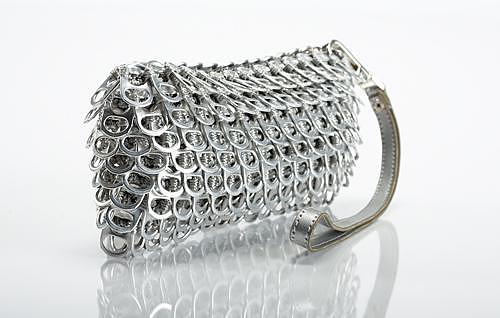 Chain-like metal bags is a classic women’s accessory frequently promoted by major fashion designers. 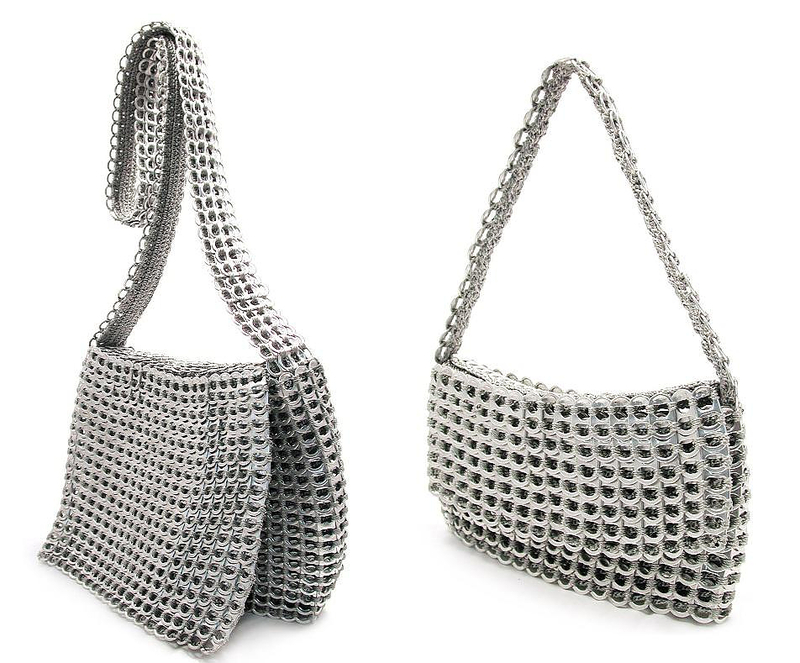 The metallic feel adds a qualitative and luxurious look, while giving a modern and dynamic Rock n Roll aesthetic to the most beloved fashion accessory. The Brazilian social enterprise Escama Studio created a series of metal bags that combine a fair cost with high quality and striking Eco Chic aesthetics. Escama Studio is not just a company but the result of a local community movement. All the products are handmade one by one and the main purpose of the Escama Studio social enterprise is to provide local people, and mainly women (artists or not), the ability to use their craftsmanship for a living and create eco-friendly and original products. 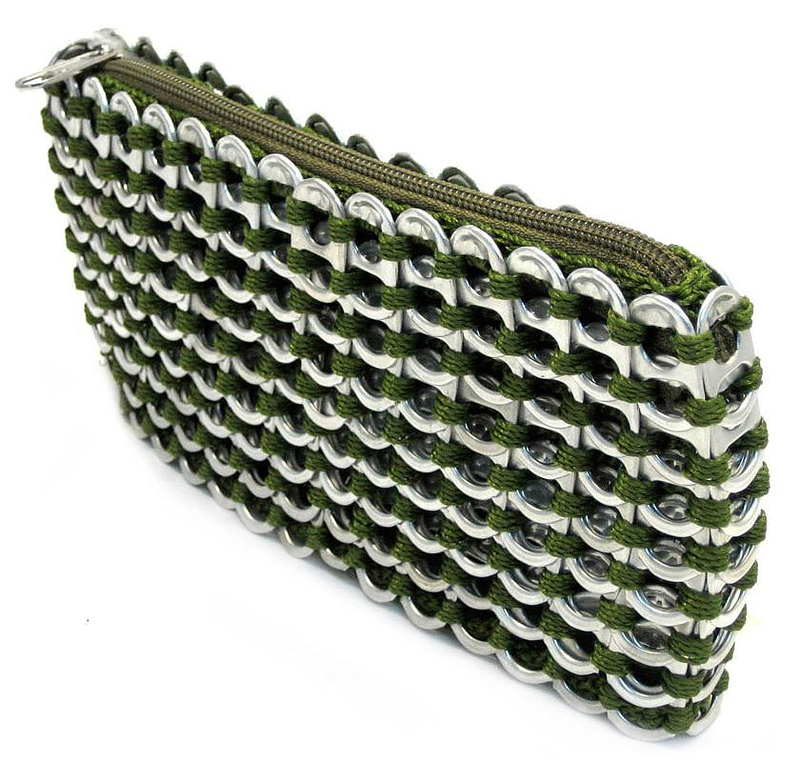 Escama Studio specializes in accessories and bags from recycled materials. 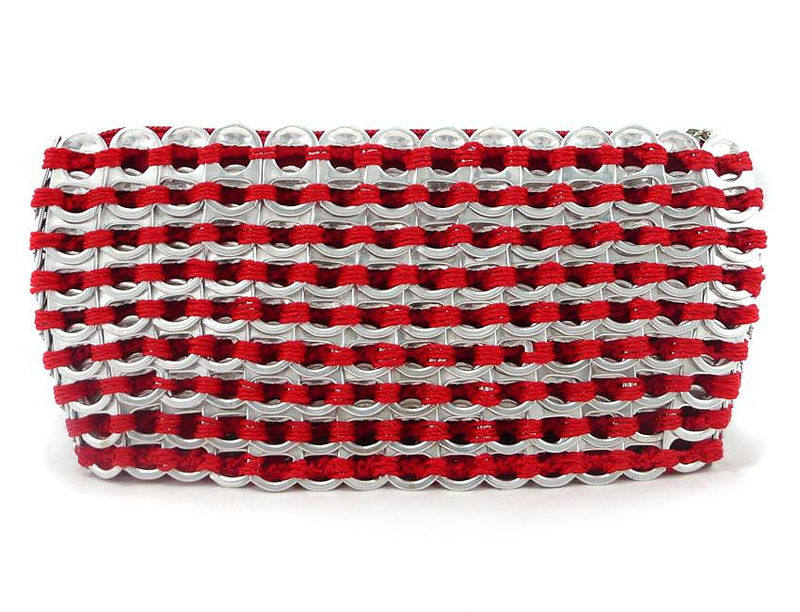 Their main material is a massive number of soda pop tops -yes, we are not kidding, they use these little aluminum rings you pull to drink of your soda can. 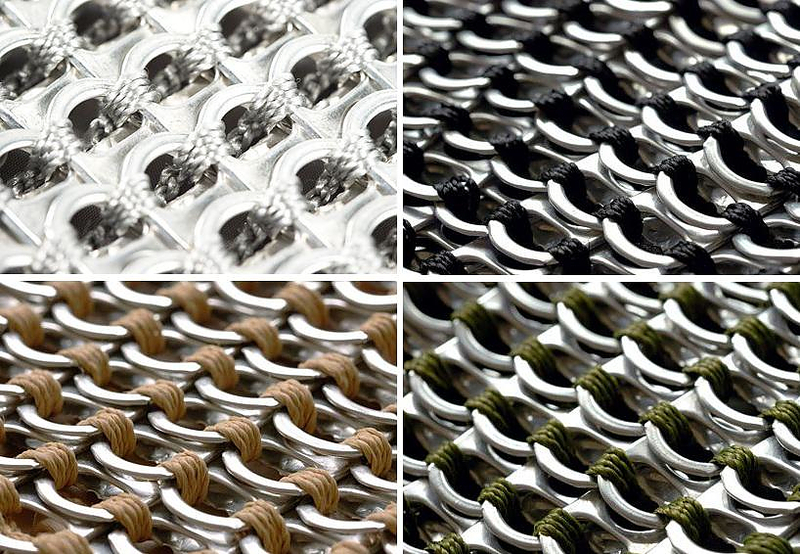 The aluminum pop tops are ideal: they are feather light, rust-free and have a natural metallic tint. 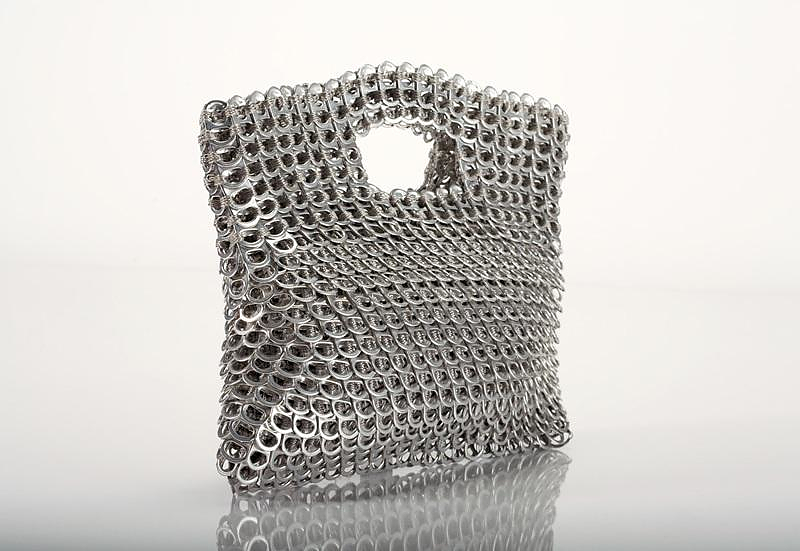 The unique bags created by Escama Studio can be matched with any outfit and will certainly impress with their eco-friendly concept and original design. 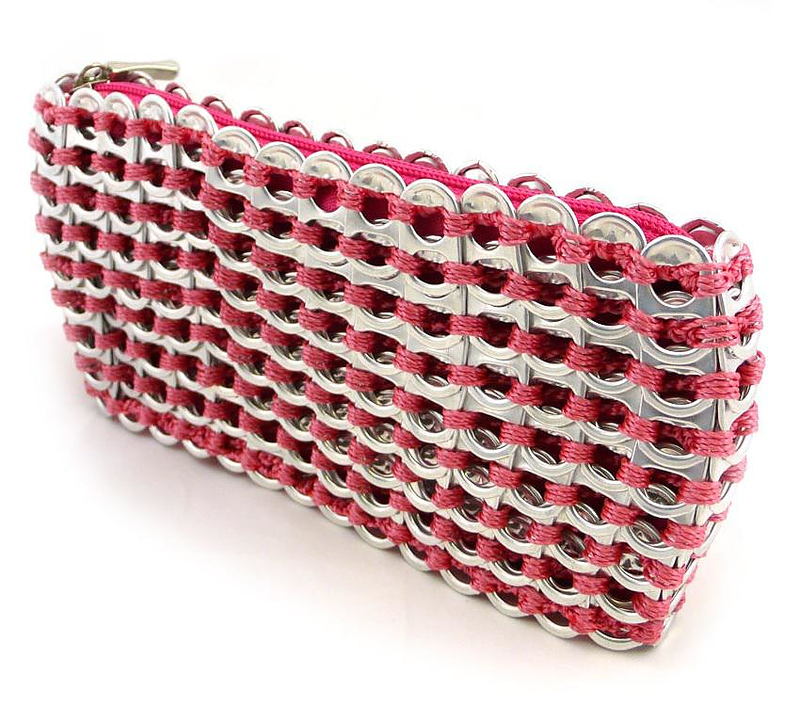 A small purse can be made of more than 200 metal pop tops and a messenger bag can be made of more than 1,000 hand-crocheted pop tops. Buying products by Escama Studio offers several benefits. 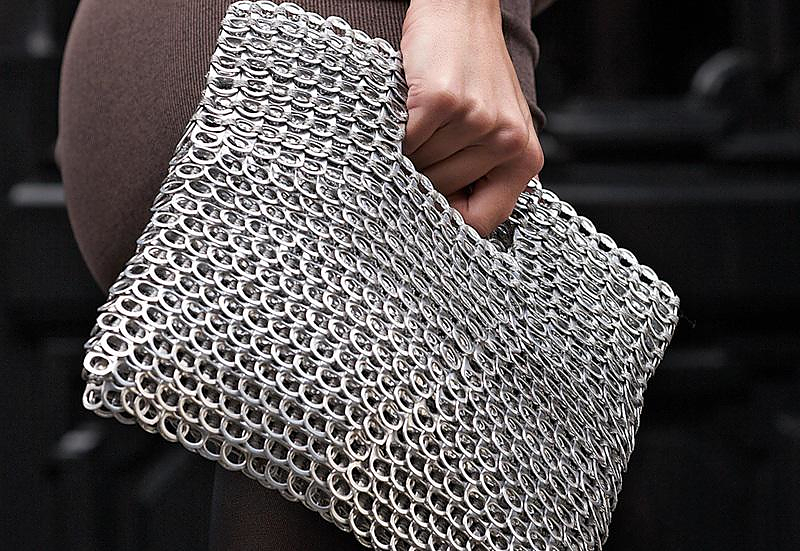 Firstly, one gets a fashionable bag that is a small handmade piece of art. 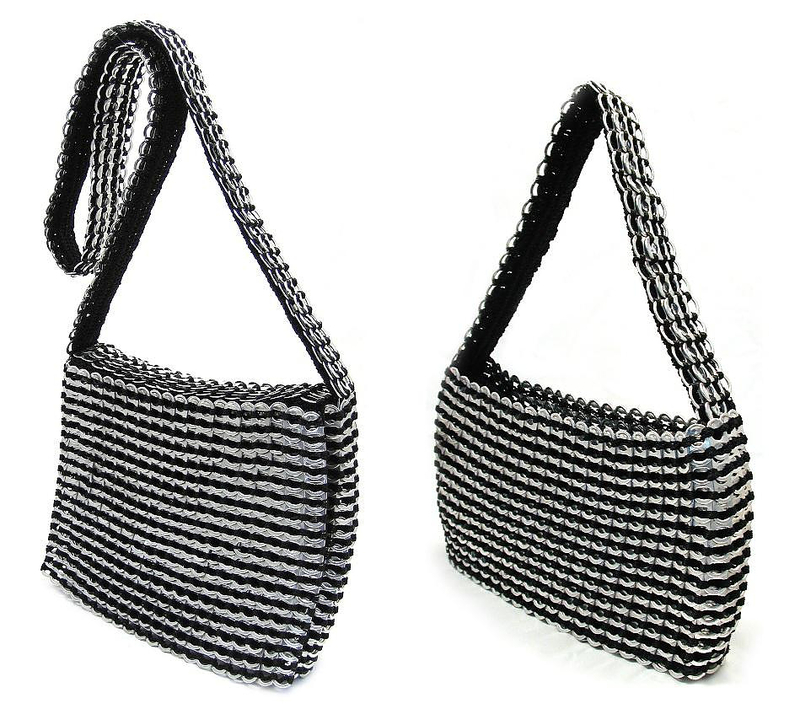 Secondly, one promotes recycling and, lastly, aids a community’s initiative to produce fair trade products. 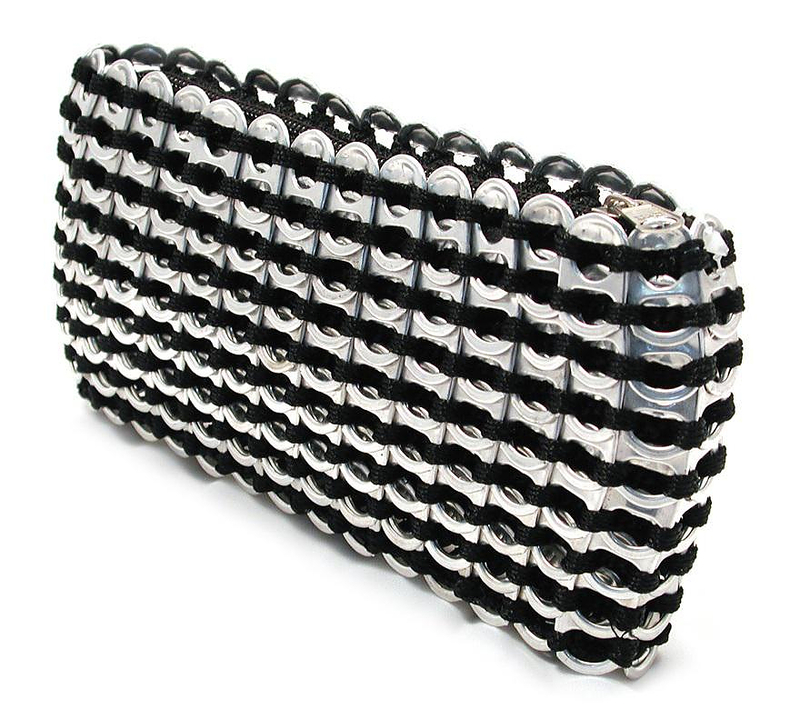 Escama bags and accessories are elegant, eco and very special fashion items.